Having luxury chocolates delivered to my door is quite the perk of being a blogger so thank you VERY much Godiva! When I eat chocolate, which I do still eat, even on my changed diet since starting at the gym, I genuinely prefer dark chocolate so I was mightily pleased to see alot of dark chocolate in this box. 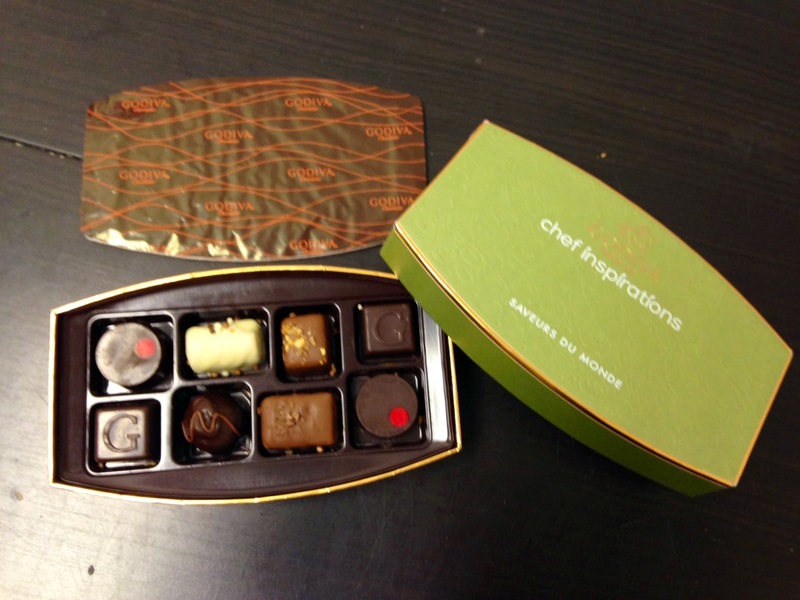 Inspired by the latest taste trends, the Chef Inspirations are quite the culinary masterpieces all housed in one small and delightful box. The idea behind the theme is that each chocolate represents the tastes from different countries across the globe.